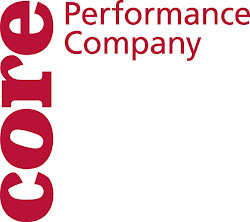 CORE Performance Company: holy thursday!!!! is anyone else noticing how the month of january has just flown by? i can hardly believe it is thursday! tomorrow we have 3 school shows of Loco-Motion in Woodstock, GA. we have to be up and at patton's condo by 7 in the morning and then we leave by 7:05 (did i mention i'm not a morning person?)! so today we had class with "the Schro" (or Sue), followed by a run of Polly Motley's piece "Charmed Romantics," then we ran the school show with all the recent additions. i'm learning that the longer you keep things in rep, or keep dances in rotation, the more difficult it is, because you have to keep making it new and fresh every time. it definitely keeps you on your toes...hehe, did i just make a dance joke? any-who, maryjane left us halfway through the day...she may be working with gloATL...or maybe she is out finding a way to make world peace happen...she was missed...so we did more "Point" work without her. corian and i revisited a duet that Sue started working on back in october...you can check out the video of the duet from the last blog in october...the halloween edition of the blog! so while we were busy putting that together...claire and blake began working on a "stop and freeze" assignment. i believe, they had to invent various lifts and then hold them. when it came time to show Sue the progress thus far, she informed us that we would be putting these two duets together and making a quartet; however, we would be combining the two assignments (of the duet phrase-ology AND the stop and freeze). so within the structure of this duet, we have to find moments to make contact...so we will see how that shapes up. so that is just a snippet of what blake and claire's stop/freeze work was...with some direction/input from Sue. i always find it fascinating to watch contact work, because it is truly a skill to do partnering and make it look effortless and smooth. that is the trick of doing partnering: fooling the audience into thinking it is just a "walk in the park." so here is the beginning stages of getting partnerwork to that point...haha, another dance joke...point, get it??? Alex, your jokes are corny and sweet. Just like you.